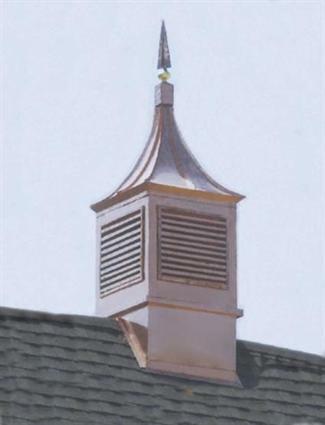 This cupola features a square base, grated sides, and a sleek, upsloping roof with standing seams. Handmade from 16 oz. 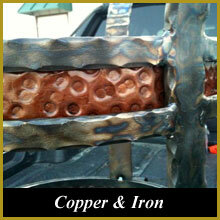 (24 gauge) copper and offered in a light or dark copper patina.